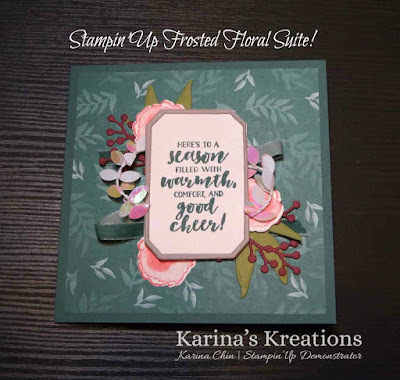 The new Stampin'Up Holiday catalog is fabulous! There are so many new fun products. 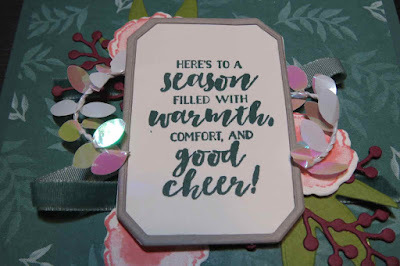 This card is made with the Frosted Floral product suite. I love this bundle because it can be used year round. The designer series paper is gorgeous! It's printed on Shimmery White card stock so every sheet has a little shine. 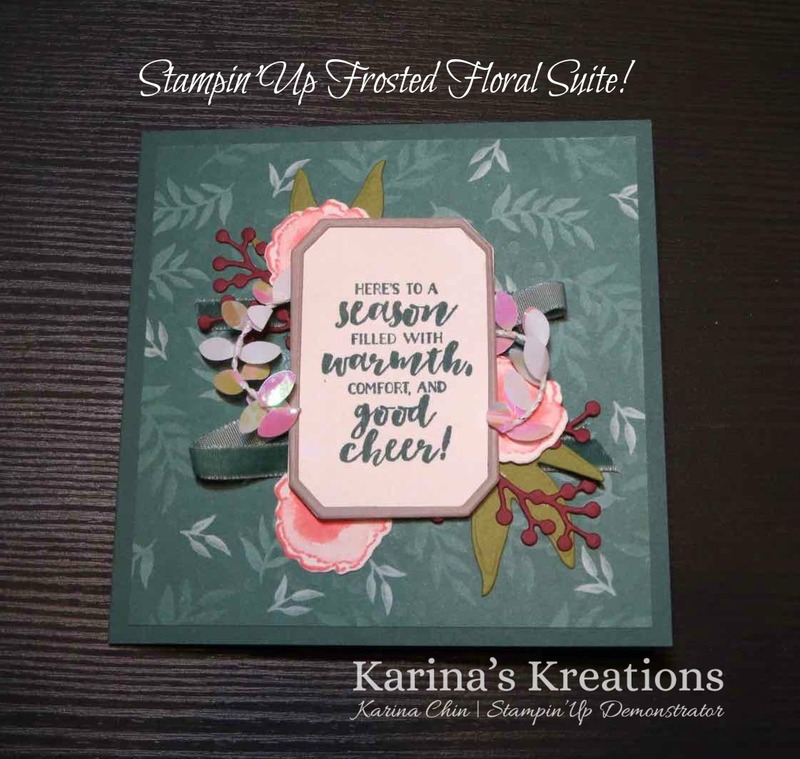 The stamp set has coordinating framelit dies which allows you to make cute quick cards using the Big Shot die cut machine. You can order these products on September 5.